Mac Miller & Pharrell get together to release a new track called “Glow” which is off their upcoming EP they are collaborating on called Pink Slime. In all honesty, Mac Miller is getting lazier by the minute. He just does not seem to care anymore and though Pharrell did an awesome job with the instrumentals, it wasn’t enough for it to be a good track. Arguably two of the biggest newcomers in hip-hop in the last year or so, Big Sean and Mac Miller, collaborate on a new track called “Hundred Dollar Bill Skyscraper”. It’s a laid back, soft kind of hip-hop track, perfect for getting your week started. This track is a taste of Big Sean’s much anticipated new mixtape and sophomore album. Enjoy! 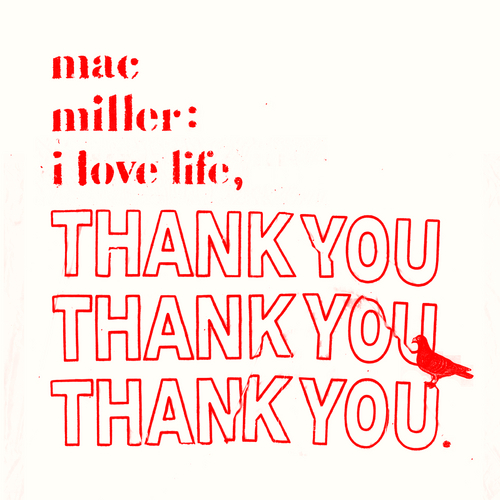 Mac Miller gives us his first track since is widely successful debut album Blue Slide Park dropped in November. This song, “Jerry’s Record Store” is more like his old work, chill laid-back raps, focusing more on his lyrics as opposed to the party feel of his tracks on his album. Enjoy! Mac Miller and singer Heather Victoria get together to go in on some cool 9th Wonder production. Be on the lookout for 9th Wonder’s album, The Wonder Years, coming out this Tuesday.